Smothered in rainforest, alive with proboscis monkeys, orangutans and pythons, Borneo is an island of incredible biodiversity. This, combined with a fascinating tribal culture and the moody peak of Mount Kinabalu, makes Borneo perfect for exploration. Neighbouring Brunei glimmers with golden-roofed mosques whose calls to prayer ring out over the country’s dense and pristine rainforest, filled with proboscis monkeys and lazy pythons, while offshore, flares from oil rigs light up to clouds in the tropical night. 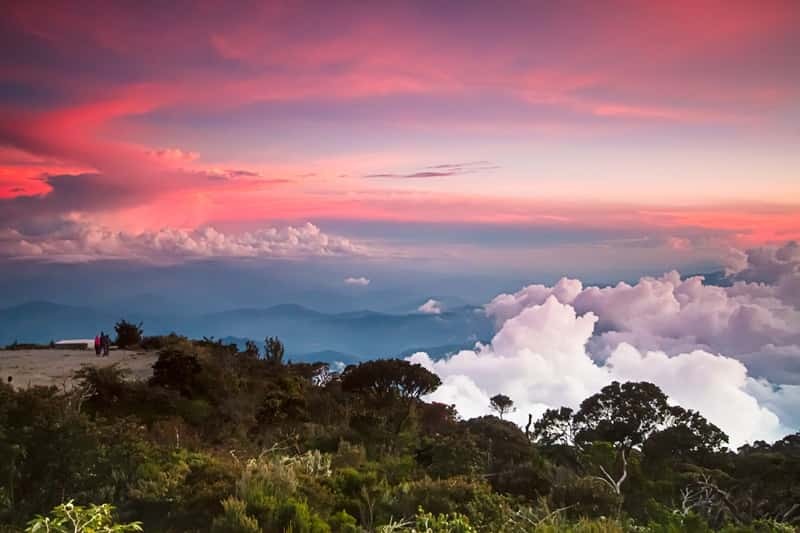 The moody peak of Mount Kinabalu, Borneo’s highest mountain (4095 m), offers views down through the swirling clouds to Sabah’s islands including Palau Gaya, Layang Layang and Sipadan, which offer unparalleled underwater adventures. Sabah’s jungle, though fast making way for endless plantations, still provides stunning jaunts for the hardy in the Maliau Basin, home to elephants, orang-utan and the shy Sumatran rhino. Few travellers cross into Borneo’s greater portion, Indonesian Kalimantan. The coastal cities are seething with energy, chocked with traffic beyond which the jungle is rapidly becoming consumed by logging concessions. Boat travel is the most rewarding experience here, chugging up the Mahakam on the way to visit Dayak long-houses, or around the vast Tanjung Puting National Park, whose empty riverways still echo with the call of Borneo’s untamed beasts.